A portrait of State Pathologist Professor Marie Cassidy has been unveiled at the National Gallery of Ireland in recognition of her contribution to science. The painting, by Cork-born artist Jack Hickey, was commissioned by the gallery as part of the Hennessy Portrait Prize 2017. 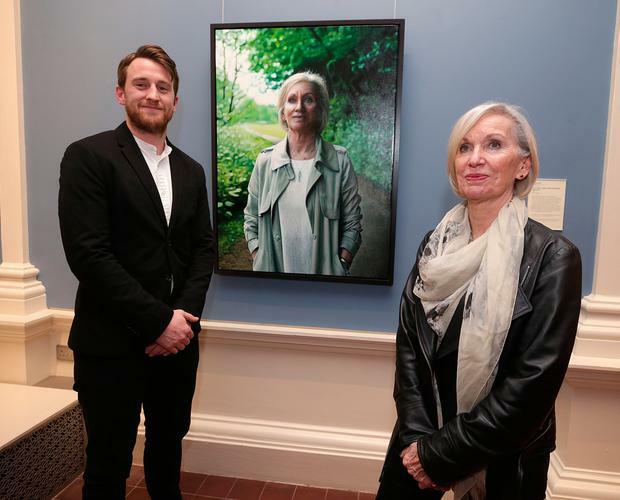 The oil on canvas piece is the latest addition to the gallery's National Portrait Collection, which acknowledges those individuals who have made a major contribution to Irish life. Prof Cassidy (66) moved to Ireland from her native Glasgow in 1998 to take up the position of deputy to the then-State Pathologist, Professor John Harbison. The only woman with such a senior job in pathology at the time, she quickly became a familiar face as she travelled regularly across the country, often attending the scenes of murders. "It is a tremendous honour to have my portrait hang in the National Gallery of Ireland, and to share wall space with such iconic figures," said Prof Cassidy. "I'm touched and thrilled that this painting will be seen by the hundreds of thousands who visit the National Gallery of Ireland each year, and I want to thank Jack Hickey for his talent and patience in capturing the piece." Prof Cassidy announced last July she was retiring from her role. The portrait of Professor Cassidy will hang in Room 23 of the National Gallery, alongside those of All-Ireland winning Kilkenny Hurler Henry Shefflin, world-renowned fashion designer John Rocha, and the renowned best-selling author, Maeve Binchy.